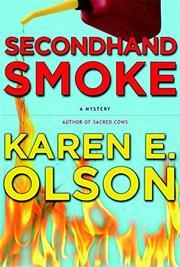 A cynical reporter investigates an arson and murder in her own neighborhood. Though she’s lived in the Wooster Square area of New Haven her whole life, Annie Seymour’s pedigree as the child of a Jewish mother and an Italian stepfather leaves her on the outside of the close-knit community. After Prego, her favorite restaurant, goes up in smoke, a body with a bullet hole is found in the wreckage. At first assumed to be owner Sal Amato, the corpse turns out to be LeeAnn Hayward, a mob courier and Sal’s hostess. Her romance with police detective Tom Behr over, Annie is more than a little in love with Vinnie DeLucia, a Sinatra look-alike who’s otherwise engaged. In short order, Annie’s father flies in from Vegas, visits a mob boss and avoids the FBI, who are looking for mob connections. It seems that Sal was running a gambling operation out of his basement—where people bet on tic-tac-toe–playing chickens—and depriving the mob of its share. Besides capos, the suspects include local families and vegan demonstrators upset over the murder of the chickens. It’s only after Annie’s father is wounded by an unseen gunman that she and Vinnie work out the whole story. Annie (Sacred Cows, 2005, not reviewed) is a believable heroine whose sassy exploits and muddled love life should make for more exciting adventures.